Bela shared some of her previous work with me. She had a great interview style, nice and informal. So it didn’t take long before I replied with a “yes, of course”. As promised, Bela touched base in January and kept me posted about filming and recording dates. Bela and I had a fab phone call where I shared a bit about my blogging and Instagram journeys so far. It reminded me how much has happened with Lucky Things in its first year. A few weeks passed and Bela soon updated me with a filming date in mid-February. “Can you come to down to the London Soho restaurant Billy and the Chicks on a Saturday afternoon?” I already knew about this place as it has the best fried chicken. So it was another yes from me (not just because of the menu!). Bela and her BBC cameraman filmed me chatting outside. The filming was super efficient. Although Bela mentioned the outline of the news story I still didn’t know what she would ask me about. Bela asked some great questions. One of my favourites was about whether if I’d read more blogs or been part of an Instagram community when I was actually going through IVF, would I have felt more supported? We also chatted about dealing with post-natal depression and how social media platforms provide you with insight to others’ experiences. The filming only took about ten minutes but we covered a lot whilst chatting on a bench outside Billy and The Chicks. 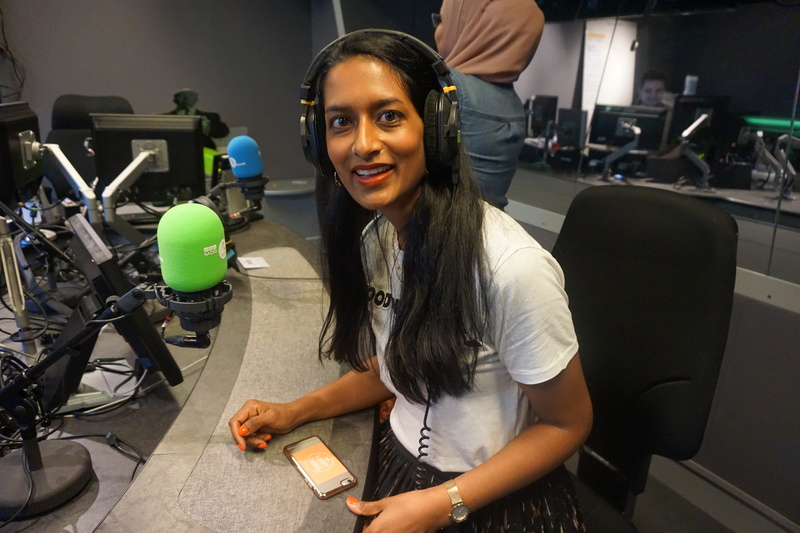 Bela said that she would be in touch as she also wanted to pitch the news story to BBC Radio Asian Network (a pivotal media platform for any South Asian growing up in the UK and around the world). Roll on a few more weeks and Bela got in touch about a slot on a BBC Radio show. I didn’t know whose show it would be. I knew of some of the presenters from my DJ-ing and music industry days. Bela explained the radio interview would be with two of us bloggers and it would be part of the Big Debate show. I knew that the Big Debate Show always covered interesting topical issues. Oh my goodness, the radio show was also going to be live. Of course, I was wondering if I was going to say anything stupid or possibly have a coughing fit on live radio (even though I didn’t have a cough that day). We weren’t allowed to talk about being on BBC Radio until we had the green light from Bela that morning. As with most radio shows, things can be very last minute and anything can change. I knew there was a possibility that the whole interview could be scrapped if a more important topic urgently came up. The night before I found out that a blogger Nilly Dahlia was also going along to the radio show. We were going to do this together! This was amazing as I’d met Nilly and her gorgeous baby girl at the filming in February. What a tag team. I knew we’d collaborate well together and it was nice knowing a friendly face would be there. We of course exchanged messages about what we were going to wear although it was for radio! I also took a few moments the night before just to think about the next day. It’s funny as this is where the mindfulness tricks from Dr Tamara Russell like her transitional pause came in handy. I guess I wanted to enjoy the BBC experience before it had even started. When asking myself how I felt about it all – nervous, excited, proud, buzzing – I realised again what a special opportunity this would be. It was good to just pause and take it in. For years, I’d been hoping to appear on BBC Radio. When I worked in media, I did all kinds of stuff including work in editorial/magazines, appearing on TV (BBC again for Top of the Pops) and London Fashion Week. I guess those experiences have all grown my confidence and made me who I am. As my Mum always says, they have all given me certain skills. I reminded myself about doing live performances like DJing where you had to just go for it and deal with any hiccups along the way. But when I did live things before it wasn’t about thousands of people hearing my voice and what I had to say. So it was kind of OK feeling a little anxious. 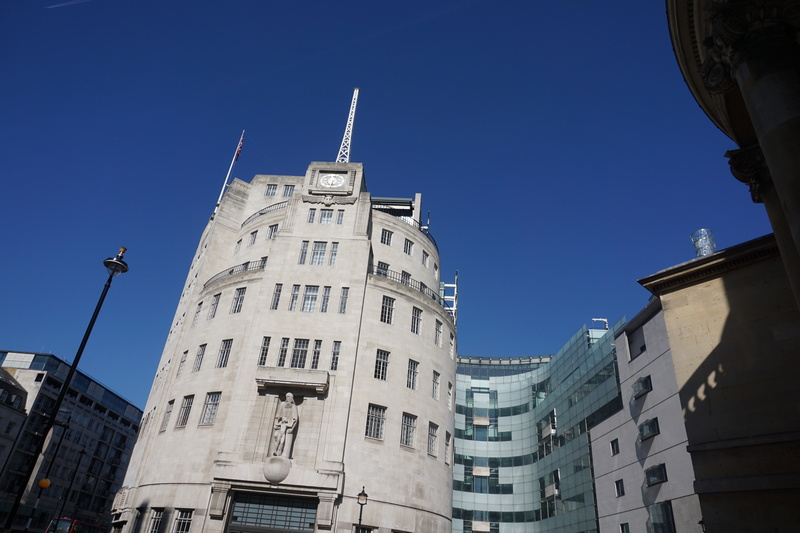 On one of the sunniest days in London so far this year, I headed down to the BBC New Broadcasting House by Oxford Circus. I felt a mix of excitement and nerves – as I really didn’t know what we were going to talk about on the show. As my big Brother reminded me that morning “we know you can talk lots” so he jokingly reassured me it would be fine. If you saw my vlog on Instagram earlier that morning you’ll know that I was pushing my boundaries by doing this show. It wasn’t something I could plan or prep for. I was working with the unknown although I knew Bela’s colleagues would be really great to work with. So it was about going with the flow that day. So me and Nilly waited in the BBC reception. It was nice they were running late as we could take it all in. It’s a busy reception as you can imagine with so many different people passing through or waiting for their slot or meeting. I wondered what jobs they did or what they’d be talking about on the radio. We of course took lots of photos and filmed a few video clips of our own. It was a day to be documented for sure. It was soon time to head up to the recording studio. There wasn’t much prep time at all. One of the BBC journalists Sejal met us and she said we’d be going live in a few moments. The presenter Shazia Awan popped out to say hi. I’ve heard lots of Shazia’s shows before. She has a relaxed style and always asks good questions. Maybe that’s something we had in common. In my HR career it’s all about interviewing and learning about people and their stories. 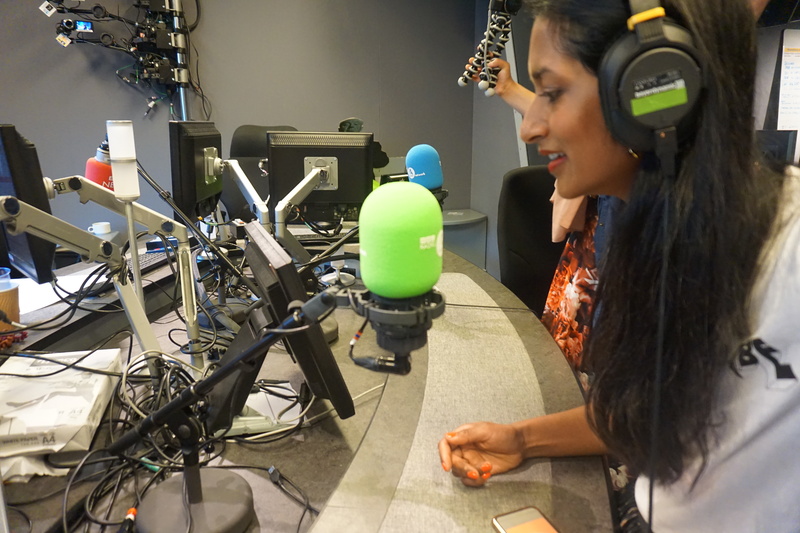 Back to the live show…Shazia introduced the news story feature and then asked us to talk a bit about ourselves. I thought we were going to be on the radio show for about five minutes. We covered so many interesting topics ranging from my IVF anxieties, blogging as a job, microbloggers, negative reactions to blogging, how Peppa Pig can be controversial and the general highs and lows of being an InstaMum. Twenty minutes whizzed by an it was a wrap (if you say that after doing a live radio show of course) and we quickly had to leave the studio before Shazia started her next piece. During the show I actually forgot it was live. We were just chatting and laughing. It felt great. Bela asked us to appear on a Facebook Live for BBC News so it was cool that we would be coming back to do something else with the BBC crew the next day. Bela had another treat for us. 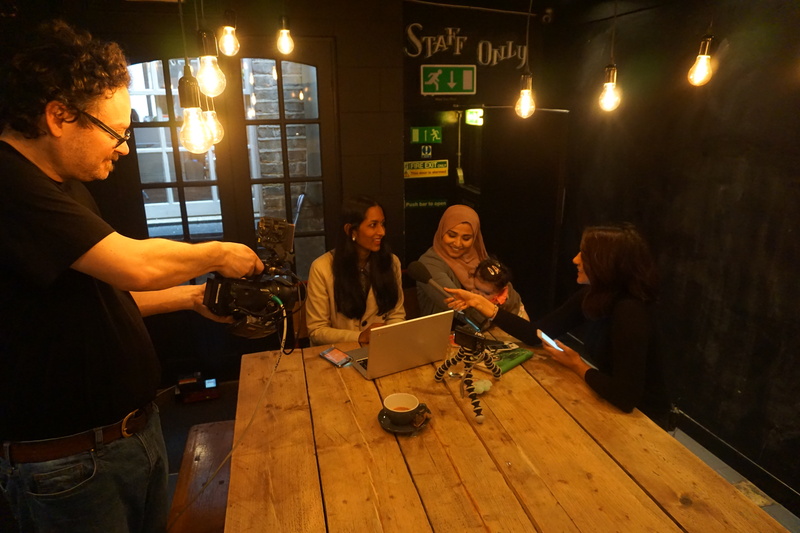 The feature we filmed in February was also live on the BBC Radio Asian Network Facebook page. I checked it out when I left the building. It was filmed beautifully and they captured my appreciation for my Instagram community which was a real bonus. I also talked about how I felt about our IVF experience on this video clip. You can listen to our slot on the radio show here (it’s on BBC iPlayer until about 20 April 2017). You can skip to our bit at 2h13 minutes. 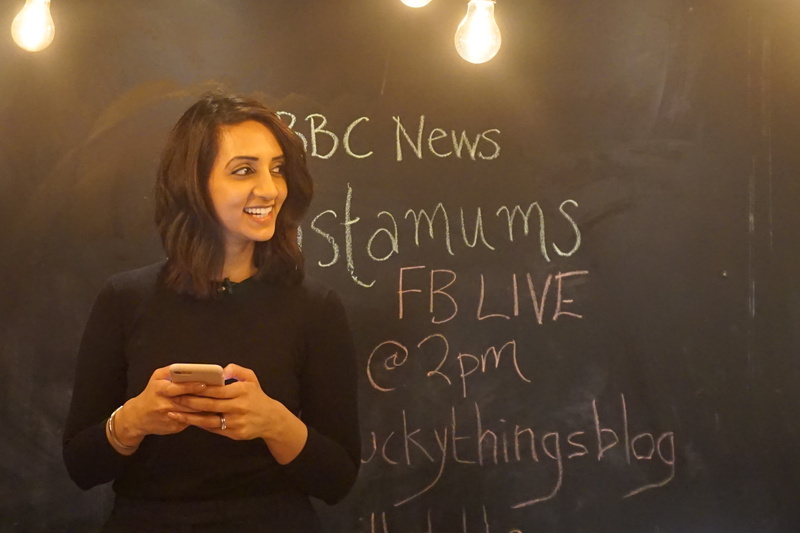 You can check out the BBC video recording of our Facebook Live for BBC News over on Lucky Things Blog Facebook page. Don’t forget to check out Bela Shah’s new blog site, Cookie and Bela. Since this blog post, I’ve also appeared on BBC Radio Asian Network on The Big Debate with Nihal on Friday 31 March 2017. You can listen to our discussion on sleep here on BBC iPlayer (until 30 April 2017).